The ARU said that one of the three Tests against the British and Irish Lions in 2013 will be played in Brisbane with the full itinerary for the tour expected to be confirmed later this month. Aside from the British and Irish Lions tour Brisbane and the Gold Coast will host major rugby internationals as part of the plan announced by the Australian Rugby Union. The ARU said Bledisloe Cup Tests will be staged in Brisbane every time Australia, in an annual rotation with New Zealand, hosts three Tests in the trans-Tasman series. Under the new arrangement, a Bledisloe Cup Test will also be hosted in Brisbane in 2012 with the city having the opportunity to stage matches between the Wallabies and All Blacks in successive seasons. 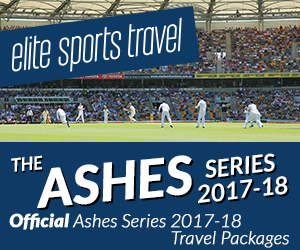 Other features of the agreement include South Africa to play in Brisbane as part of the expanded Tri Nations series in the years when the All Blacks are not playing in Brisbane. Brisbane will host the opening Test when the major European nations tour Australia each June, starting with Wales next year, the ARU said. Gold Coast will stage a Test for the first time when the Tri Nations match with Argentina is played in the tourist precinct next year and it will also host a further two Tests in 2014 and 2018.